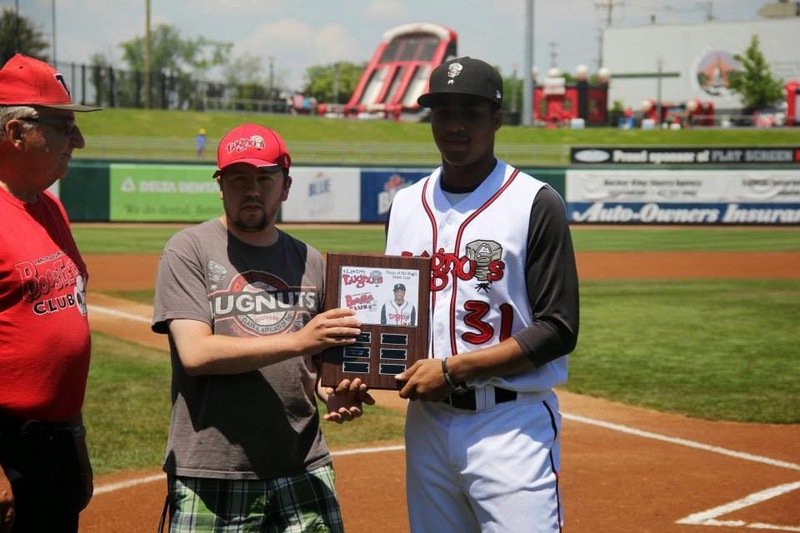 This picture was taken on 6/8 on the field to congratulate Dawel Lugo on being the May player of the month. He was presented with this plaque that is hung up near the dugout. He was given a certificate and a $25.00 gift card! Each month Jesse (radio announcer) picks a player of the month for us and we present to them on the field and give them a certificate and a gift card! Congratulations again Dawel! The POM (Player of Month) for May is Dawel Lugo. We will be doing a presentation on the field on Sunday at 1:40. A script will be read by the press box and I will hand him his certificate and gift card. Anyone who wants to join on the field is welcome and need a couple of people to take pictures. I will also be on the radio with Jesse on Sunday. The dinner on Sunday is Italian Bar style so please don't forget to bring what you signed up for. I have the All Star tickets so I will bring them to buddies on the 11th, which is the day of our meeting and is at 630. Need to talk about Midland Dinner Idea on the 29th at this meeting. Don't forget the golf outing is on the 23rd, and get all prizes/donations you have to Nancy ASAP! First off, thanks for the email and wanting to support the Whitecaps. 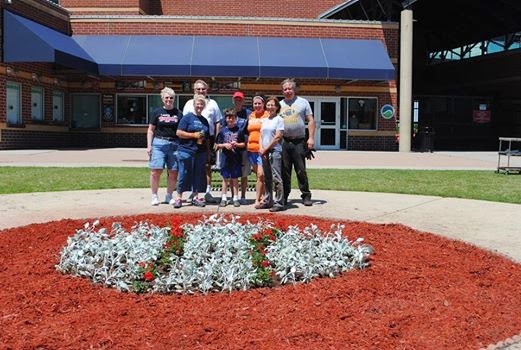 We appreciate you reaching out to us as we have a high level of respect for the Lugnuts and their affiliated partners. As for help, all we are asking for is some support this summer when baseball season rolls around! In regards to the all-star game, our on-sale date for tickets is going to be Tuesday, March 4th at 10:00am. Do you have an estimated number of people you would be expecting to attend? Our group minimum is 20. And yes, we could make an accommodation and accept a booster club check as long as we received the check before the tickets went on sale. ***I told him I would get him a number by feb 26th, so don can mail out the booster check. Do we want to do the 16.00 or 14.00 seats? Send me an email with your NAME and how many tickets you want by Monday Feb 24th, so I can pass along the info to the whitecaps and to don!! Thanks! !